2013 has started with a lot of news from around the world! In this 4th edition of “Struggles and Victories: Waste pickers on the frontline”, you can read about a major victory for the waste pickers in Pune carried out by KKPKP at the High Court of India, the important recognition and integration of the cartoneros cooperatives into an inclusive model in Buenos Aires, Argentina, as well as social security ensured for waste pickers in Bangalore, India. There have been many organizing efforts from waste pickers in Africa, where training workshops supported by WIEGO were held in the DRC, Kenya, and Nigeria. 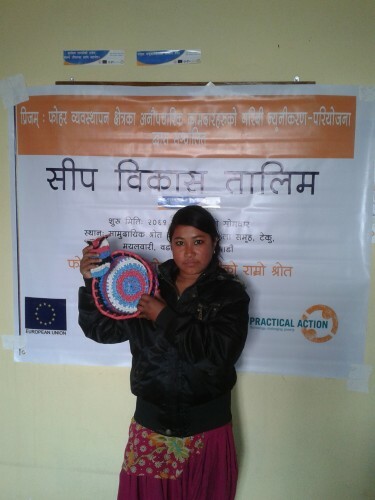 In Kathmandu, Nepal, skills training workshops for women waste pickers were organized by Practical Action. While in In Paris, France, a new association called Amelior was formed to support the rights of biffins to work and sell their reused materials. You can see a powerful video made by Chintan in Delhi about the impacts of waste-to-energy on waste pickers’ livelihoods, an HBO documentary that shows the canners of New York City, as well as a video about the latest struggles for the inclusion of Bogota waste pickers. Waste pickers are facing many problems in dumpsites in Central America. After sharing updates about dumpsite fires and privatization, recicladores in Costa Rica, Nicaragua and Venezuela received powerful responses of solidarity from other waste pickers in Latin America. Also, GAIA released a report on the burning of waste at cement factories in Mexico after the closure of Bordo Poniente landfill and the displacement of waste pickers. Also, on March 1 we celebrate Global Waste Pickers’ Day, and many activities have been planned by different waste pickers groups around the globe. Learn more about this day and share with us what you are planning to do this Friday, March 1st! PS: Recently we found out that our newsletters weren’t reaching all of the subscribers due to some technical problems. If you have not received previous newsletters, you can check them out on globalrec.org. SWaCH — the waste picker-owned cooperative that was responsible for recycling throughout half of Pune, India — has been fighting a battle since it was squeezed out by a private contractor hired by the municipal government. The government and the company — responsible for recycling in two of the city’s wards — engaged in unfair competition, making it impossible for SWaCH to continue. In November, SWaCH terminated its agreement with the municipal government, and in order to keep their jobs, secured contract work with the new company. With the company, the waste pickers were not paid the full amount promised in the contract and their access to recyclables was threatened, among other problems. Chintan Environmental Research & Action Group and Safai Sena just released a new documentary, Credits vs Carbon Credits. 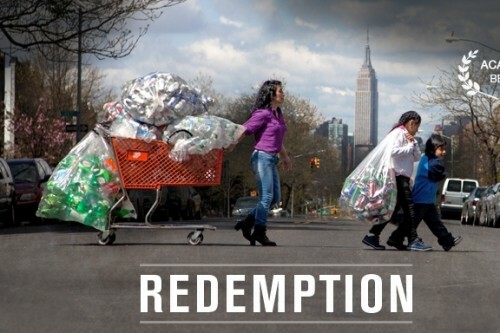 The film explores the effects of large projects vying for carbon credits on the livelihoods of waste pickers. It chronicles the journey of two waste workers from New Delhi: Aasma Bibi and Jai Prakash Choudhary aka Santu ji. Both of them are also activists with Safai Sena, an association of waste pickers, itinerant buyers and small waste dealers. Asma Bibi is worried how a waste-to-energy project in her own backyard, in the Ghazipur landfill in Delhi, may put waste pickers like herself out of a job. Santu, pushed out of his small shop in Connaught Place by a large corporation, put forward the case of recyclers at the United Nation Climate Change conference in Copenhagen, in 2009. Concerned, they travel to Kanpur, Mumbai and Okhla in Delhi, to explore what impact the hunger for carbon credits and private handling of waste has had on recyclers like themselves. 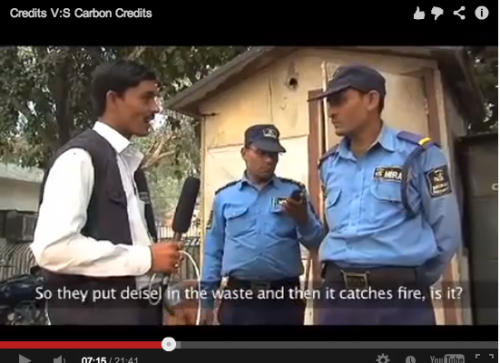 Watch “Credits vs Carbon Credits”. The 15,000 waste pickers of Bangalore, India, had an end of the year victory. Bruhat Bangaluru Mahanagara Palike (BBMP), the local government, is going to provide social security benefits to the waste pickers. In order to integrate waste pickers into the changing waste management system in Bangalore city, BBMP, in collaboration with Hasirudala, a local waste pickers’ cooperative, drafted a project proposal that was approved by the the central government. The project will give opportunity for integration of waste pickers and give the legitimacy required for the informal sector. In February, a day-long Social Security Camp was held for waste pickers. Over 1,000 people participated. It was organized by the BBMP in collaboration with Hasirudala and facilitated by the state government. About 100 families of waste pickers enrolled in a health program for sick adults. Ninety people enrolled for the Adhaar card and 70 people received help completing forms for pension programs Sixty waste pickers registered for ID cards. 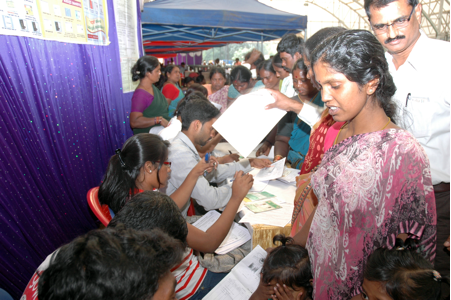 In total, over 500 people received help accessing different social security schemes. Photo of kkpkp members and children. Kagad Kach Patra Kashtakari Panchayat (KKPKP), the waste pickers’ trade union based in Pune and Pimpri Chinchwad, organised an awareness program for its members on January 2 to familiarize them with the Right to Education Act and to discuss with them how to make the best use of the 25 percent quota for underprivileged children. So far, KKPKP has enrolled 42 children in private schools using the RTE quota. The meeting was attended by over 250 KKPKP members. This article talks in more detail about how parents have become involved in their children’s education, discussions about public and private schools, and teachers’ attention to underprivileged students. Also read about how KKPKP is planning an admission drive to enroll the maximum number of eligible children in the Right to Education Act. Nepal waste picker with crafts. Practical Action, with support from EU funding, recently held a 15 day entrepreneur’s skill development training on recycling plastics. The workshop was aimed at women waste pickers, as most of the waste enterprises in Nepal are owned by men. During the training session the participants learned to make purses, mobile cases, pen holders, fruit basket, key rings and bath rubber out of the plastic recyclable waste they collected. “Deukhel Mahila Kawad Samuha”, is a group of women waste pickers in Kathmandu Valley. 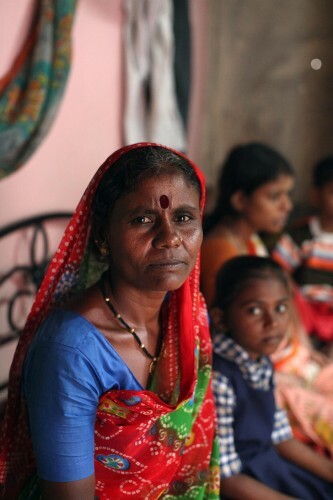 Their objective is to strengthen the women waste workers in achieving social recognition and supporting their work. The project is facilitating the group by providing social protection schemes. The project has admitted 12 children of these waste pickers’ groups in a school in Kathmandu. As part of the social protection scheme, waste pickers’ children from different groups have been financially supported for school enrollment, books and uniform by the project. After several fires have burned landfills and dumpsites in Venezuela — including the tragedy in early February at the main dumpsite of Maracaibo — the national waste pickers’ movement (ANREV) is calling for effective measures rather than merely “covering up fire with water and sand.” ANREV says the fires, whether accidental or intentional, affect everyone, causing the collapse of waste management in cities, impacting neighboring communities mostly comprised of waste pickers, and causing health problems due to the inhalation of toxic gases and smoke, suspending livelihoods and daily wages that support many families. “We are the recyclers – far from being a social problem, are part of the solution to a very serious problem — that is the final destination of our waste,” ANREV said in a statement. It´s time to set up alliances between waste pickers, the government , private companies, the education sector and society as a whole, ANREV suggested. It´s also time to set up efficient zero waste programs – actions that are spoken of in the national waste management law drafted in December of 2010 but which has not yet been put into practice. The waste pickers’ network is calling for government and municipal waste management plans, which should include the creation of transfer stations where waste pickers will be able to work with dignity. It is also calling for an environmental education program in support of separation at source. Read the press release from ANREV (National Association of Recyclers of Venezuela). This video shows organized waste pickers promptly taking actions to reduce the impact of the garbage crisis in Bogota and giving an account of the series of unfortunate events and bad decisions that led to it, and of their struggles and victories throughout time to secure their rights and livelihoods (including the Constitutional Court´s ruling granting them the right to tender for public bids and to be remunerated for their services). In doing so, they demonstrate their capacity to provide efficient and quality services to the city´s waste management system. “Downtown Bogota has not been this clean in 20 years” said Silvio Ruiz, a long-time waste picker leader. 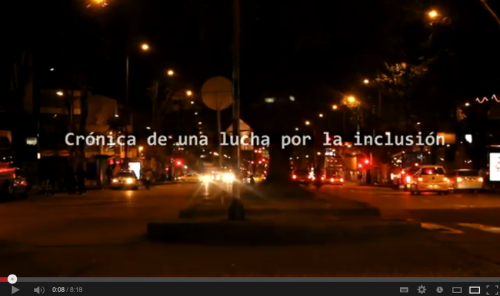 Video: Chronicles of a struggle for inclusion (in Spanish). In December, Sujeylin Isabel Ordoñez Quesada, a waste picker with “Cooperativa de Recuperadores del Pacifico R.L (COOPEREPA)” of Costa Rica, sent an email to Red Lacre requesting advice about what actions to take in regards to the closure of the Parque Ambiental de Garabito landfill and the likely loss of the livelihoods of the 18 families working there. Letters of solidarity from the Asociación Nacional de Recicladores de Colombia, Movimiento Nacional de Recicladores de Nicaragua, and the Dominican Republic were sent both to the waste pickers and members of the municipal government. In February, Sujeylin reported that the situation at the landfill has improved as they are now in talks with the municipal government and the health department to find the best solution. They are also still working at the landfill at the moment, she said. 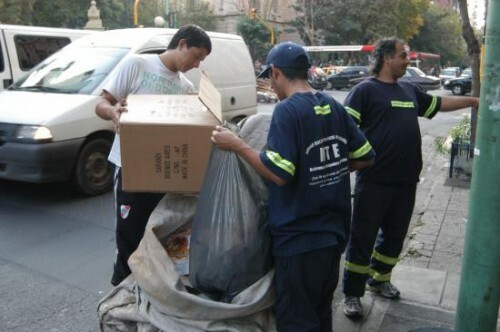 On January 2, waste picker cooperatives and the Buenos Aires government reached an historic solid waste management agreement. During a four year period, waste pickers’ cooperatives will be responsible for the city’s recycling sector, each cooperative responsible for particular zones throughout the city. The municipal government is providing uniforms, social security, workplace insurance and an economic stimulus to comply with hygiene and workplace safety. It has also promised day care for the children while their parents are working. Also, selling materials collectively from a proper warehouse will allow the cooperatives to earn more. The agreement could bring Buenos Aires closer to fulfilling its Zero Waste law. The Global Alliance for Incinerator Alternatives (GAIA) and Revuelta Verde recently released a report on the struggle against waste incineration in cement factories in Mexico. The United Nations’ Clean Development Mechanism (carbon trading scheme) could approve a proposal for a UK-based company to incinerate waste in a cement kiln in Huichapan. In 2011 it approved the CDM proposal for the same company to incinerate waste in Tepeaca, Mexico. Since the December 2011 closure of Bordo Poniente landfill (and the displacement of 1,500 waste pickers that depended on it for their livelihoods), the waste once sent there has been transferred across state lines to be incinerated in the CEMEX cement kilns. After much public pressure and complaints of resulting health problems in the community, the government of the state of Hidalgo recognized that the practices of incineration and disposal of the waste in the CEMEX plant were illegal. CEMEX and all of the other cement factories in the state were then required to stop burning waste as fuels and transporting trash across state borders. But now CEMEX could be approved as a “sustainable” solution to climate change. Groups in Huichapan are engaging in socially inclusive Zero Waste initiatives that would stop if the proposal is approved. GAIA and Revuelta Verde have not heard back from the CDM secretariat. The deadline is 29 days from receipt of the report, which will be the end of February. 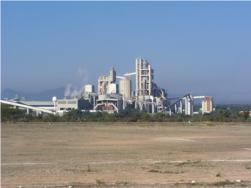 Case study: “From Bordo Poniente to CEMEX: the CDM’s support for waste incineration in cement factories”. The Latin American and Caribbean Network of Waste Pickers (Red Lacre) recently launched its first newsletter. It includes an update on the Central American Waste Pickers’ Conference held in September of 2012 as well as an aggregation of news articles. 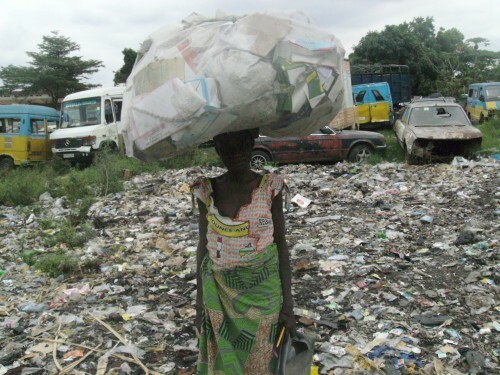 Woman waste picker in DRC, Congo. 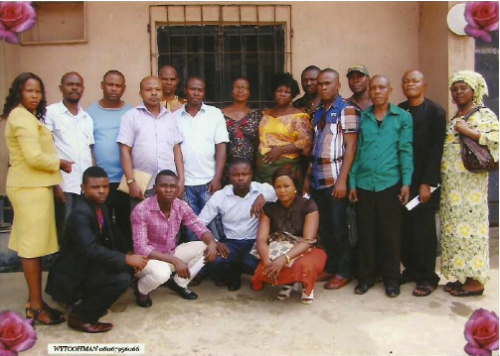 The second round of a workshop to support waste pickers organizing in Kinshasa, Democratic Republic of Congo, was held in January of 2013. The Congolese Women’s Rights League, a StreetNet affiliate, with support from WIEGO, organized an event that brought together 30 waste picker delegates from Bandundu, Bas Congo and Kinshasa. This process started in November 2012, when for the first time, waste pickers came together to discuss the problems they were facing, and training workshops about constituency and organizing procedures were held. In this second round of training, Kapita Tuwizana, an Africa-based organizer from WIEGO, came from South Africa to run a workshop focusing on strengthening the negotiation capacities of the organization vis-a-vis municipal governments. Read full post with photos. 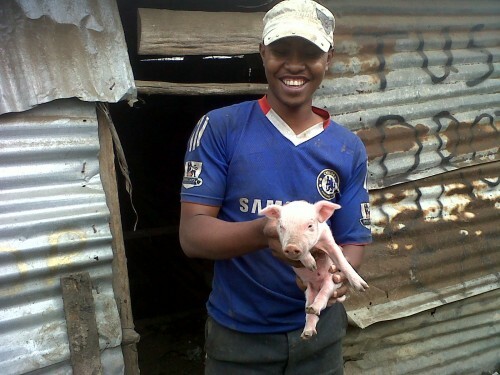 As part of the organizational efforts of the Kenyan Alliance of Waste Pickers, a waste pickers’ organization from Dandora, Kenya, has started a project raising pigs. Elaine Jones, Global Trade Programme Director at WIEGO, visited the group last January, together with a few students from MIT and Harvard. Their visit has helped boost waste pickers’ determination to continue organizing in order to improve their working conditions and incomes. Read the post with photos. The Second Organizing Meeting with Waste Pickers was held in seven target cities in Nigeria. The purpose of the meetings is to support waste pickers’ organizing so they can better represent and protect themselves and have a platform to relate with members of the public, the government, waste dealers and other end users in a more organized way. FIWON and WIEGO are serving as facilitators of this process. See post with photos and more info. 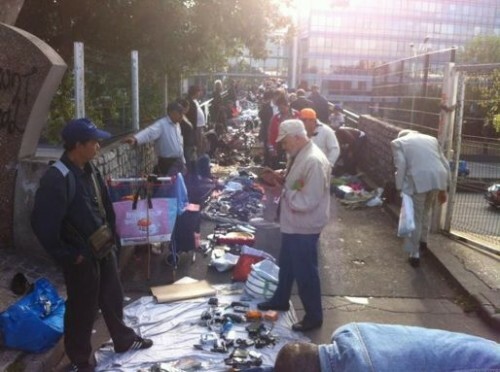 Les biffins (waste pickers) selling their reclaimed materials at the Marche aux Puces (Street Market) in Paris. Credit: Associacion Amelior. The profession of biffins (“waste picker” in french) has been recognized since 1240, and the right to recover materials since 1670. The biffins are skilled in collecting, repairing and upgrading objects and devices, with ancient expertise in sorting and selling. The “Flea market” is a meeting place for the sale of recovered materials by the biffins, who have enjoy official status since 1910. This activity has a long history, and it is also a profession with a long tradition, often transmitted “from father to son.” The job of biffins seems, a priori, legal and legitimate. However, this activity does not enjoy the recognition is due today, and is even subject to genuine judicial and police repression. This is why the association Amelior has been in existence since August 2012. It was born as a mixed constituency of biffins and citizens of Paris that are in solidarity with their cause: in social recognition, eradication of economic poverty and police repression to which they are subject. Amelior is one of three associations like this in the city. There is also the association “Sauve qui peut” created in 2009, and the biffins collective support of Montmartre. This is a wonderful concept sharing news of waste pickers struggles all over the world. The bit on Nigeria is really nice but the big problem I have is sharing this type of newsletter with the waste pickers I’m working with. I can imagine how pleased and encouraged they would be reading about themselves and others like them from across the world! Is it possible to have hard copies posted to us, both present and past editions? I will forward it to some of the organizers helping out here, however. I will also print out as many copies as i can to share with waste pickers. The news is primarily theirs!.